At R B Glazing, we are dedicated to getting the job done right first time and always provide excellent customer service. 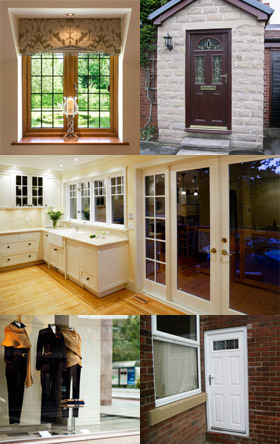 For windows and composite doors in Wakefield, Pontefract, Castleford and surrounding areas, you can count on R.B. Glazing. Over the years we have built up a reputation for reliable, efficient, glass and double glazing services with very competitive prices. We work with residential and commercial customers, offering a variety of glazing services, including installation, repairs and maintenance of windows, composite doors, conservatories, fascias and soffits. Check out our composite door services in Wakefield too. Brighten up your home with new windows and doors. Whether you wish to update all your windows, add a new window to your extension or switch your sliding doors for patio doors, R.B. Glazing has the solution. Purchasing new windows and doors not only look great but can also improve your energy efficiency, reducing heat loss and keeping your property warm. If you have a broken or damaged window, it is normally more beneficial to have it repaired rather than installing a completely brand new one. At R.B. Glazing, we are dedicated to providing you an honest service and saving you money, if you think you could benefit from window repairs, enquire today. In addition to our glazing services, we provide a locksmith service to keep your property secure. Whether you have had a break in, or wish to update the locks on your property, we have the solution. Enquire today about any of our glazing or repair services through our contact page or by using the call-back request form below, where we will get back to you. Site by Bulletpoint Marketing | W3C Valid - HTML5.